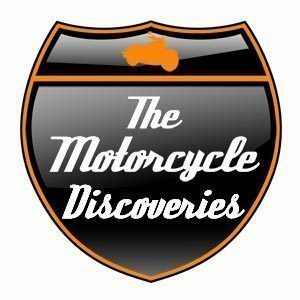 Back in June of 2011, I wrote a post about The Motorcycle Discoveries, a web show that was supposed to rock, but by November of 2011, I still hadn’t gotten around to publishing it. First I’ll share the story, second I’ll tell you why I’ve held back. Let’s face it, as men we struggle to deal with the concept of “reality TV”. Teenie-bopper approved hits lack the slightest semblance of “real” in the faces of our lives. Until now. TMD America is a revolutionary and interactive series about the motorcycle journey of a lifetime. Five young riders travelling 25,000 miles across America by motorcycle, sharing their stories, adventures, and clashes. If there was ever a reality show for those fond of riding on the open road, this is it. The series was originally titled The Motorcycle Diaries, after Ernesto “Che” Guevara’s The Motorcycle Diaries. Now reborn under the title of The Motorcycle Discoveries, the web-only series will tell a similar story of youthful travels and adventures, or so we hope. We expect to follow the lives of 5 riders across 50 states, 220 cities for 50 weeks. The series makes use of social media and should be particularly of interest to web savvy motorcyclists. Each rider not only records his or her personal video diary, but takes part in discussion via the group’s Facebook, Twitter and YouTube. Motorcyclist viewers can propose riding tips and favorite routes in attractions when the TMD riders come through their town. I’m guessing the following line was: “but few people ever do.” Which is exactly what happened. As far as I could tell from watching later episodes and what I picked up via social media back in 2011, the TMD crew for the most part didn’t actually ride. They were expecting Harley-Davidson would just lend them $50,000 worth of motorcycles to ride across 50 states with. That would means tens of thousands of miles of wear and tear. So The Motorcycle Diaries never took place. Who knows if any of these kids ever started really riding, but don’t worry, I’ve got a great motorcycle TV series that really happened coming out in my next post. Stay tuned!